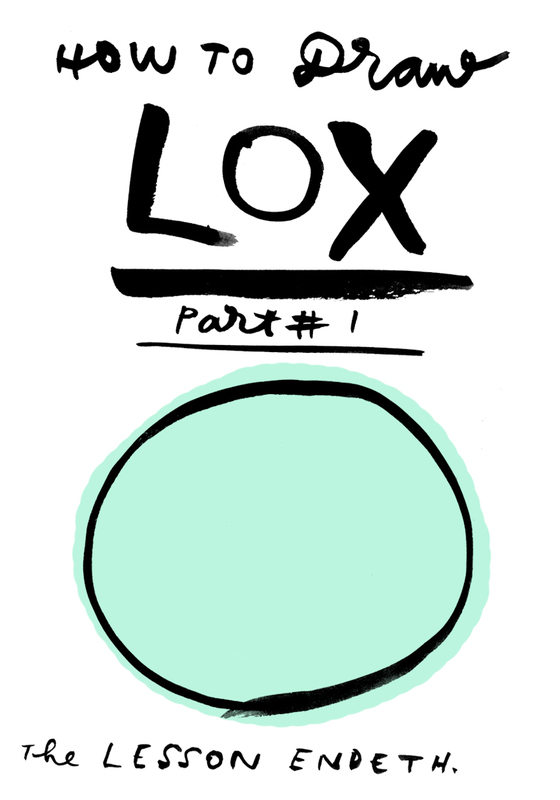 Lox is just a circle, really. 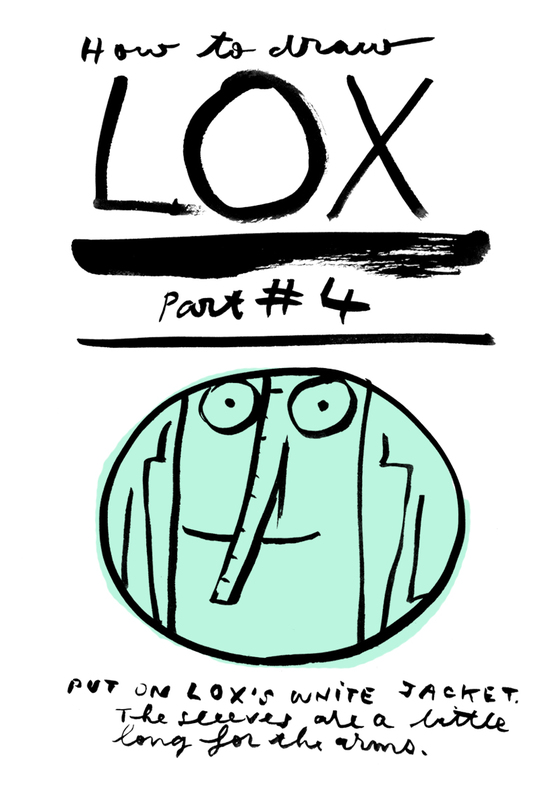 But in case you don't know how to draw a circle, here is a how to draw Lox. 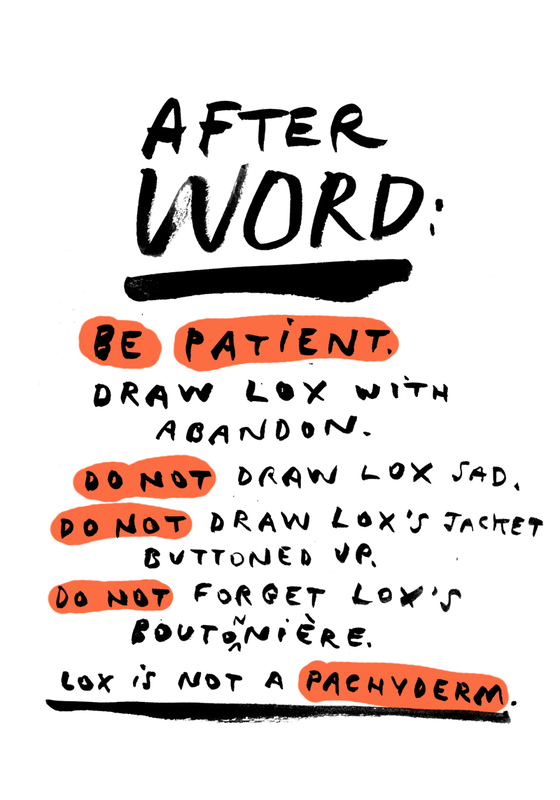 Be patient like Lox. 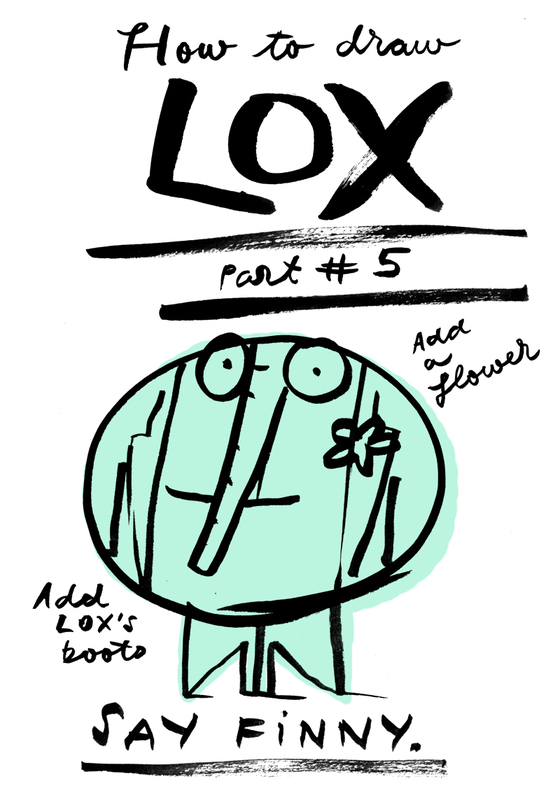 And don't forget the boutonniére.